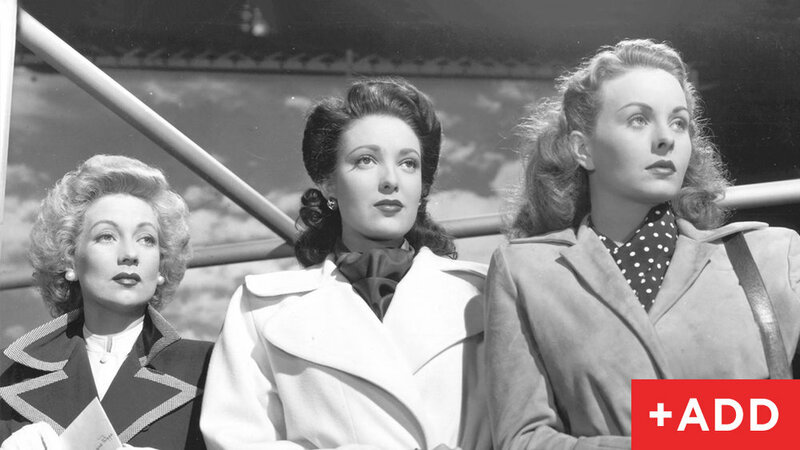 The phrase “who needs enemies with friends like you” must have come in the minds of Deborah, Lora, and Rita, the main characters of 1949 American romantic drama film A Letter to Three Wives. 5:37 PM – Our Wi-Fi goes out. After a few failed attempts to revive it, we give up. The sitter will be here in just over an hour. It won’t be our problem anymore. Click to rent Date Night. 5:58 PM – The sitter calls. She mutters something about car trouble and drops the dreaded date night bomb: she has to cancel. There goes our hope of having happy hour and that trendy, new place and pretending we don’t have kids. Click to rent Adventures in Babysitting. 6:02 PM – Being good parents. Even though it’s been a long week and we are beat, we decide to entertain the little ones the old-fashioned way. The kids laugh so they hard they snort, and the exhaustion is worth it. Click to rent Shirley Temple movies. 6:21 PM – The exhaustion is no longer worth it. Eleven puppet shows and two and a half tantrums later, and we have to attempt the Wi-Fi again. It still doesn’t work. Click to rent The Muppets. They won’t notice when we put them to bed while the sun is still up, right? 6:49 PM – Miraculously, the kids are winding down. The eldest has been read her story, the youngest has been given his bottle. Click to rent The Sound of Music. 7:07 PM – Both our son and daughter are snoring (loudly). We have changed out of our date night clothes and into pajamas, and hubby has ordered pasta from our favorite Italian joint. We settle onto the couch to stream our shows and…. The. Internet. Is. Still. Out. 7:36 PM – Finding buried treasure. While hubby has “almost” fixed our connection three times, I am compulsively tidying. Suddenly, I spy a bit of red poking out from the cracks in our couch. I pull apart the cushion to reveal a treasure hidden just above two other deeply stuffed toys. It’s the DVD that arrived earlier. Thieves. Click to rent The Goonies. 7:37 PM – We pop in the film. It's a favorite of both of ours that neither of us have seen in a long time—just then, there is a knock on the door. Food has been delivered. Our bellies and hearts are quickly full, and the laughter is flowing. We now actually consider this a much better option. Thanks for saving date night, DVD Netflix. 8:12 PM – Our son wakes up. Click to rent Three Men and a Baby. Amy Chesler is an author, content creator, blogger, and family woman from Los Angeles, California. Her most recent publications include four different contributions in six different Chicken Soup for the Soul anthologies, as well as her first solo children’s book, A Man and His Books (available on Amazonand most other book-selling sites). Follow her on Twitter (@abcauthor), Facebook (www.facebook.com/abchesler), or Instagram (@abc_author) for updates, giveaways, and much more! Some of the greatest stories ever written have been turned into films. Dramas. Thrillers. Romance. With summer upon us, we have more time to catch up on that novel we’ve been meaning to get to, or experience its movie version for that great story fix. Best-selling author John Grisham has provided us with plenty of those, since many of his novels have been turned into hit movies and shows. Knowing that movie watchers are often avid readers, DVD Netflix is proud to support the launch of the legendary Grisham's latest release, Camino Island. Bryan Kramer, global keynote speaker and best-selling author known for his storytelling, had a chance to ask Mr. Grisham a few questions on behalf of DVD Netflix. BK: You've been called "America's Favorite Storyteller." What is your approach to storytelling, and why do you think it has such huge appeal? JG: My goal is to entertain by hooking the reader early and often and making the pages turn. I want my readers to skip lunch, read all night, call in sick at work, whatever it takes to forget everything for a few hours and get lost in the story. BK: Your first novel, "A Time to Kill," was based on a conversation you overheard in the courtroom. What real life situations, conversations, or people are in your other books? BK: Since you're not in the courtroom regularly, where do you find inspiration for your stories? BK: Which one of the film adaptations based on your books is your favorite and why? JG: I’ve been very lucky with Hollywood and all nine adaptations have been enjoyable. But The Rainmaker is still my favorite because Francis Ford Coppola was determined to stick to my story. Plus, the cast was incredible: a young Matt Damon, Danny DeVito, Jon Voight, Clare Danes, Danny Glover, Mickey Rourke. I love that movie. BK: You've written an impressive 30 novels over the years, so it's safe to say a reader could "binge read" your body of work. Since Netflix invented the concept of "binge watching," what are your favorite shows to binge on? JG: I’m not sure all of these were with your company – kinda hard to keep it all straight these days – but we binged on Downton Abbey, House of Cards, Breaking Bad, Rectify, Broadchurch, In Treatment, Z (Zelda), The Crown, and a few others I can’t recall right now. BK: Have you ever considered adapting your work to a longer-form series that we could binge on? And, if so, what makes a written novel more appropriate for long-form series vs. a traditional movie? JG: Yes!! We talk about it every day and are trying to do several longer-form series, so tell your top-level executives to get with the program and make us a deal. Television is better because of time and space. A feature film is limited to 120 minutes. With television, there are no limits and all aspects of the storytelling – characters, big plots, little plots, setting, dialogues – have virtually no boundaries. BK: What's on your summer reading and watching list? JG: I’m trying to finish the legal thriller for the fall so I’m not reading or watching much. I have stacks of books all over the house, but so little time to read them. I want to watch The Night Manager, Narcos, and Making of a Murderer. BK: Your newest novel, Camino Island, includes writing, books, and bookselling as key plot elements. Can we expect more of that? BK: When you were young, you wanted to play professional baseball. If you had never become a lawyer or novelist and instead pursued your dream of becoming a ball player, how do you think that would have played out? JG: At best, I would have bummed around Class D minor leagues for 10 years in a different dead-end town each summer, making $600 a month for five months per year, and sold used cars back home to pay child support for seven kids from three wives, and gone through rehab each winter while still dreaming of playing for the Cardinals. Thank goodness I wasn’t very good. It was a bad dream. Enter the Camino Island Sweepstakes! You could win airfare to Miami Beach, a 2-night stay at the Eden Roc Miami Beach Resort, a signed copy of Camino Island, and a $100 DVD Netflix gift card. Click the picture below for more details. Bryan Kramer is a CEO, Executive Consultant, global TED speaker, and author of best-selling books “Shareology: How Sharing is Powering the Human Economy,” which debuted in USA Today’s “Top 150,” and “There is No B2B or B2C: It’s Human to Human #H2H.” Bryan’s “The BK Show” podcast series is in the top 100 Marketing podcasts on iTunes. He co-hosts a weekly Human Marketing and Technology video and Twitterchat series #H2Hchat Mondays 12PM PST/3PM EST with Creativity author Courtney Smith Kramer. He is currently writing his third book. One of our DVD Directors, Laura R., is extremely talented when it comes to throwing beautiful and creative parties! We asked her to put together a Fantastic Beasts and Where to Find Them party for all the Harry Potter fans to try out when they receive the movie in the mail (it joins our library on April 25—add it here). Laura did an amazing job and delivered a truly magical party set-up! 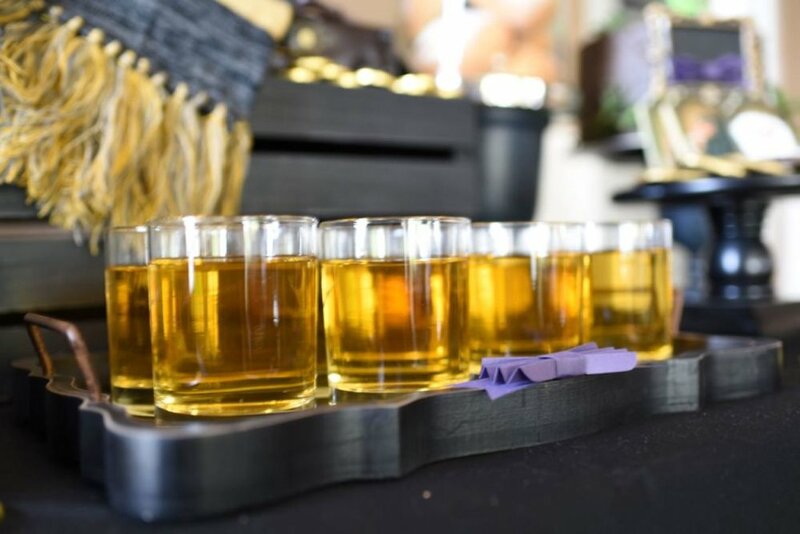 Head to her blog for the full list of party ideas.